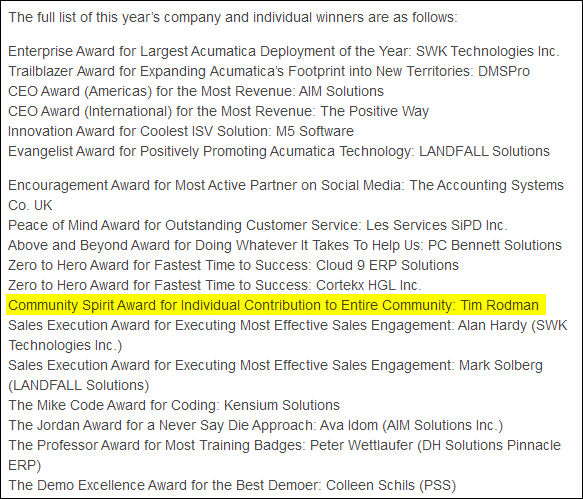 Acumatica handed out some awards last night at their partner summit and they created a special category for this blog. Click the picture below to see the full announcement. So far, this blog has landed me a bottle of wine (click here) and now an award. This whole Acumatica thing is purely a hobby at this point for me, but it’s still very nice to get recognition. Thanks Acumatica!